Joint scientific research on constructional materials has been conducted since 2007. 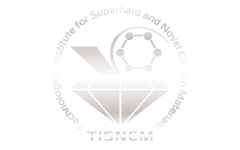 An agreement between TISNCM and Siemens Aktiengesellschaft (Siemens AG) was signed on May 30, 2008, establishing the “Functional and Constructional Materials” TISNCM–SIEMENS Joint Laboratory. •	training and support of the engineers and scientists in the field of nanoconstructional materials.